ZF-TRW is marketing radar, cameras and software to pilot self-driving vehicles on the highway. DETROIT -- On an overcast fall day here, Andy Whydell maneuvers a black Opel Insignia wagon onto the entrance ramp to Interstate 696, slips into hectic midafternoon traffic and switches into self-driving mode. The car is going 70 mph (113 kph) on its own, then reacts smoothly when the traffic slows to stop-and-go mode. Whydell, director of ZF-TRW's electronics product planning, relaxes and describes the car's technology. The Insignia is a showcase for the cameras, radar and software that ZF-TRW will supply to PSA Group for a self-driving vehicle to be launched in 2018. But it represents more than that. ZF-TRW is proposing a turnkey approach to take automakers into autonomous driving. And a small number of other major global suppliers are proposing the same strategy -- not merely supplying customers with piecemeal autonomous technologies, but doing the job for them. "We want to offer the full menu -- or any piece of it -- to our customers," Whydell said. "Some will want to buy individual components, while others will want a complete system." Now that automakers plan to introduce cars that can accelerate, brake and steer themselves, megasuppliers such as ZF-TRW, Continental and Delphi Automotive are promoting their services as one-stop shops. Big automakers such as Volkswagen, General Motors and Toyota have the resources to develop and integrate the technologies into their vehicles. But smaller automakers and EV startups might let a megasupplier do it, said Brian Loh, ZF-TRW's vice president of active safety. "As the investment [in self-driving vehicles] goes up," Loh said, "it will be increasingly challenging for every customer to duplicate that investment on their own." Even the big suppliers don't produce everything. ZF-TRW, for instance, makes its own cameras and radar, and its software controls acceleration, steering and braking. But the company uses Mobileye's object recognition software, and it has formed a partnership with Ibeo Automotive Systems of Hamburg, Germany, to market a solid-state lidar by 2020 or 2021. Does this mean that megasuppliers have an opening to dominate the market? Not necessarily, says Jeremy Carlson, a senior analyst for consulting firm IHS Markit. Large suppliers that can integrate a vehicle's sensors and software "may be especially attractive to automakers with less experience or resources of their own," Carlson said. But that doesn't necessarily mean they have the best technology. "There is still ample opportunity for new business and promising new suppliers," he said. Carlson expects more mergers and acquisitions as big suppliers fill gaps in their product portfolios. "Promising new technology that can't be easily replicated will always attract suitors," Carlson said. That would seem likely. 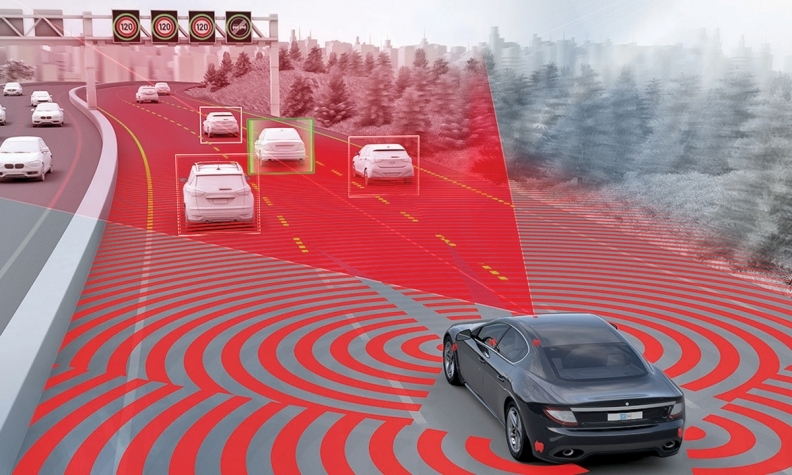 After all, ZF's $12.9 billion acquisition of TRW Automotive Holdings finalized in 2015 was driven in large part by TRW's portfolio of cameras, radar and collision-avoidance software. Likewise, ZF-TRW took a 40 percent stake in Ibeo to gain access to its lidar technology. And in June, a senior ZF executive told Automotive News Europe that the company might make more acquisitions. In the meantime, ZF-TRW can claim sufficient credibility as a one-stop shop for self-driving vehicles. Aside from the PSA contract, it produces anti-collision radar, cameras and software for MAN, the German maker of heavy trucks. Other deals -- possibly with Chinese automakers -- might be in the works, but Loh was tight-lipped about potential customers. "It's too early to discuss that right now," he said. "To sum up, it's the smaller automakers that you expect will get more benefit from it."